BUKIT JALIL, 11 Jan 2019 – CMC Engineering Sdn Bhd (CMC), a member ofThe Malaysia Rail Industry Corporation (MARIC) will leverage the capabilities of national applied research and development (R&D) agency, MIMOS, in providing technology solutions to boost rail commuter experience. 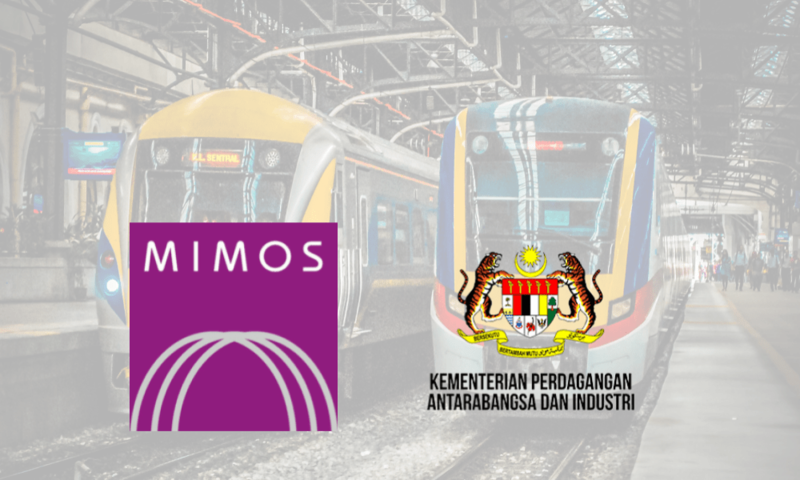 The collaboration will see MIMOS together with its subsidiaries, and CMC contributing their respective expertise and services to support rail operations. CMC is an engineering procurement construction company that specialises in the installation, testing, commissioning, support and maintenance for railway-related industries. Central to the engagement is the digital Crowd Management System, where MIMOS’ capabilities in advanced technologies such as Internet of Things, Data Analytics and Artificial Intelligence technologies will be used to enhance operational productivity, route planning efficiency and overall daily rail operations. This engagement will further deepen CMC’s technical capabilities in digital solutions and rail maintenance activities. “With the MIMOS-CMC engagement, we hope to further improve our rail transport reliability and provide our commuters with an efficient and thoughtful system, towards a more connected and sustainable urban transportation,” he said. The agency has been providing technologies for various strategic sectors namely Government services, manufacturing, healthcare, public safety, agriculture, financial services, education and smart community. 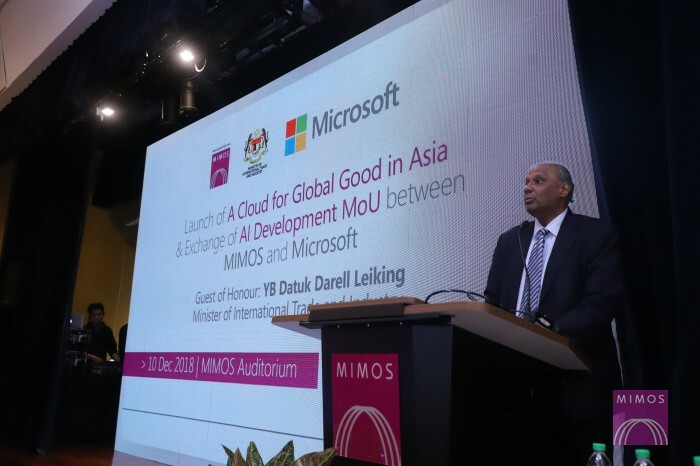 KUALA LUMPUR, 10 December 2018 –Minister of International Trade and Industry, YB Datuk Darell Leiking witnessed the exchange of AI Development memorandum of understanding (MoU) between Microsoft Malaysia and MIMOS Berhad (MIMOS), as well as officiated the launch of Microsoft’s publication, “A Cloud for Global Good in Asia”. The partnership between Microsoft and MIMOS signifies the establishment of the Microsoft Artificial Intelligence (AI) and Internet Of Things (IOT) Schools in Malaysia. First launched in 2016, “A Cloud for Global Good” is a policy book developed by Microsoft that offers recommendations for governments, industry and civil society. The aim of the book is to ensure that the opportunities of technology are evenly shared and that challenges facing society are identified early and practical solutions applied. Over the years, Microsoft has advanced the policy framework laid down in the book, including new learnings and ideas within it. Its launch in Malaysia marks the book’s first entry into the region. In line with the nation’s goal to become one of the main destinations for the high-tech industry by 2025 under Industry4WRD policy, the partnership between Microsoft and MIMOS will see the establishment of a joint lab in MIMOS. The lab will be equipped with Microsoft’s IOT and AI programs, providing access to development tools for learning purposes. During the course of the partnership, workshops such as the ‘Hands on Lab on Internet of Things’ and ‘Artificial Intelligence’ will be conducted to help train young entrepreneurs and graduates to leverage on the power of IOT and AI. Throughout the duration of the partnership, Microsoft will facilitate the training sessions in these workshops. “As we move towards Industry 4.0, industries are expected to benefit from technologies such as IOT and Artificial Intelligence. At MIMOS, we have had early successes in the application of these technologies in our key projects, hence we would like to see more technology adoption and innovation from our local industries,” said MIMOS Chief Technology Officer, Thillai Raj. “Equally important is to have all industry stakeholders to work together with the Government to develop policies that are agile and conducive for a more widespread implementation of smart solutions. That will, in turn, increase productivity levels across all market segments,” he said. Microsoft and MIMOS have been long-term partners in building Malaysia’s innovative talent, having established the Microsoft Innovation Centre at MIMOS back in 2008. The present partnership will see a revival in the collaborative efforts of both parties, as they provide a platform to support the Industry4WRD initiative by the government by providing training and tools for Malaysian to transition smoothly into Industry 4.0. By enrolling in the MIMOS Technology Recipients Program, entrepreneurs and start-ups can venture further into the world of AI and IOT to help build their knowledge on data science, machine learning and AI modelling. The collaboration between Microsoft and MIMOS is also in line with the recently launched ASEAN Digital Skills Vision 2020, an initiative that pledges to equip 20 million ASEAN workers with digital skills and opportunities in the next two years. It aims to address the employment and skilling challenges brought about by the Fourth Industrial Revolution. As part of its pledge, Microsoft aims to provide 15,000 university students with internship opportunities, deliver digital skills training to 2.2 million SME employees, and to hire 8,500 digital workers by 2020 across ASEAN. KUALA LUMPUR, 8 Nov 2018: National applied research and development agency, MIMOS, has announced a major breakthrough in medical device technology with the unveiling of a non-invasive, non-intrusive and non-destructive device for blood glucose screening. The device applies chemometrics methods to analyze the near-infrared (NIRS) obtained in absorbance mode through the user’s thumb spectra. Called GlucoSenz, the device is the world’s first clinically-tested non-invasive blood screening prototype. It works by using photonics, electronics and software technologies to detect, analyse and predict blood glucose level from the blood capillaries of the human thumb without piercing the skin. To use the device, the thumb is placed on the thumb module, where light will be projected. The reflected light is then collected by a fibre-optic probe that guides the light to a detector. The light spectrum is then analysed by a built-in software module. The blood glucose level result in mmol/l then appears on the LCD display. The device is a result of a seven-year research and development by MIMOS’ photonics technology laboratory. Ethical approval for the device was obtained from the Malaysia Medical Device Association; Universiti Putra Malaysia (UPM)’s Faculty of Veterinary Medicine, Cyberjaya University College of Medical Science (CUCMS) and the UKM Medical Centre (HUKM). “The launch of GlucoSenz marks a huge step forward for MIMOS’ Advanced Electrical and Electronics division, particularly the photonics R&D team,” MIMOS R&D Senior Director Mohd Shahiman Sulaiman said. “At this stage, the solution can bring a significant impact to healthcare providers, where safety and economics are of paramount importance. A non-invasive, non-intrusive glucometer will protect healthcare personnel from possible occupational exposure to infected blood. Hospitals and clinics will also reduce cost in the long run as alcohol swabs, lances and test strips will no longer be used,” he said. Mohd Shahiman revealed that works on miniaturising the device are under way, with a target to produce the first mini prototype for trial by mid-2019. “GlucoSenz would potentially replace conventional glucometers due to its ease of use and high accuracy. Countries with high rates of diabetes and obesity should keep a watch on this product as it has a huge market potential,” he said. Mohd Shahiman added that market roll-out is expected by end-2019. 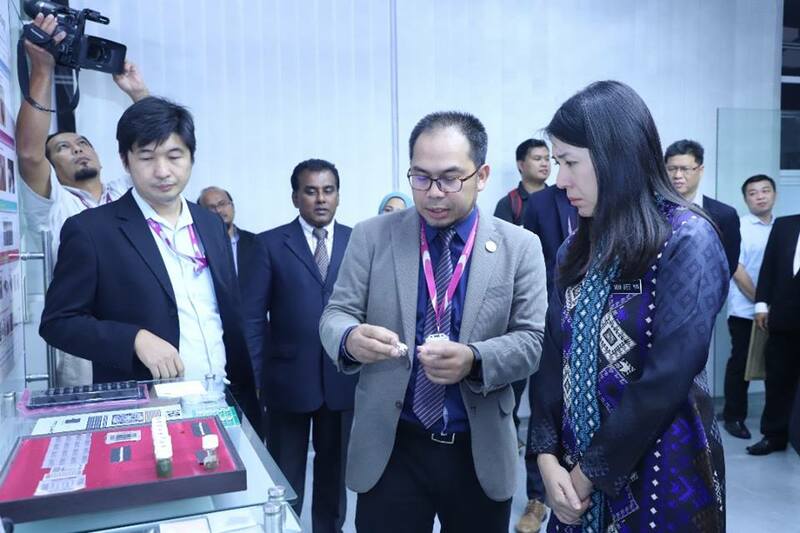 BUKIT JALIL, 27 SEPT – Energy, Science, Technology, Environment and Climate Change Minister Yeo Bee Yin on Tuesday made her maiden visit to national applied research and development (R&D) centre, MIMOS. During MIMOS’ visit, she was briefed by the agency’s senior management team led by chief executive officer Ahmad Rizan Ibrahim. Yeo was accompanied by the Ministry’s Secretary-General Datuk Seri Dr Mohd Azhar Yahaya and key officials. Among the things highlighted during the briefing session included the agency’s functions, capabilities, challenges and opportunities as well as on other organisational issues. Yeo was also briefed on MIMOS’ current and future technology undertakings. Among other issues, the minister queried on the low uptake of local technology by Malaysian companies. She was made aware of the need to have an initiative to incentivise local industries that utilise homegrown technologies as they are equally competent and cheaper than the foreign ones. The Minister hinted on the possibility of deploying MIMOS technology, such as those for public safety, in Putrajaya. Yeo was later taken on a tour to MIMOS’ five national-level technology facilities that support the national Science, Technology and Innovation (STI) agenda. Those facilities featuring Big Data Analytics – Digital Government; Big Data – IoT Technology Accelerator; Nano Fabrication and Smart Manufacturing; Industrial Design and User Experience; and Hardware Prototyping and Testing Services. This is in line with the 12 R&D programmes under the 11th Malaysia Plan. MIMOS in their technology presentation said that the agency’s focus was on applied R&D in frontier technologies; citing public safety, traffic management, agriculture and national healthcare as some of the benefiting sectors. It said that MIMOS technology applications could also be used for environmental monitoring. “Through MIMOS’ Big Data Analytics, insights could be derived from data, including crowd-sourced data (e.g. data from social media and popular apps such as Waze) which in turn would be used in building technology solutions, like one that manages public grievances on environmental issues such as open burning,” said MIMOS chief technology officer Thillai Raj Ramanathan. MIMOS also stressed that data analytics was not the only method that could be used for environmental monitoring. The agency has been working on other technologies for the environment such as using off-grid communication, and smart sensors, like those currently used to monitor Tasik Chini. 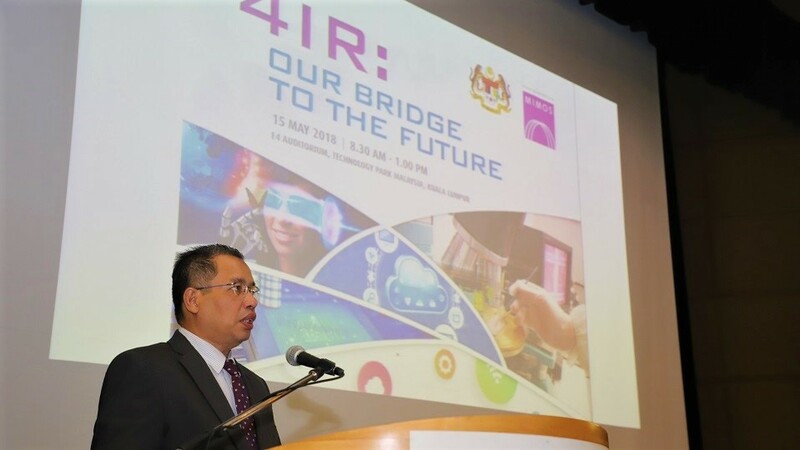 Ahmad Rizan said: “As key driver of technologies in the 4IR, MIMOS is committed to support emerging technologies such as 3D-Design and Augmented Reality for Smart Manufacturing, Artificial Intelligence, Internet of Things and Big Data Analytics, apart from running programmes in talent and skills development”. Ahmad Rizan also welcomed the calls to intensify R&D for commercialisation and to heighten productivity through science and technology. Ahmad Rizan explained that MIMOS is committed to support the national agenda and to be a Strategic Government Centre of Excellence and Advisory Agency for 4IR towards moving Malaysia from a nation of technology consumers to technology producers.